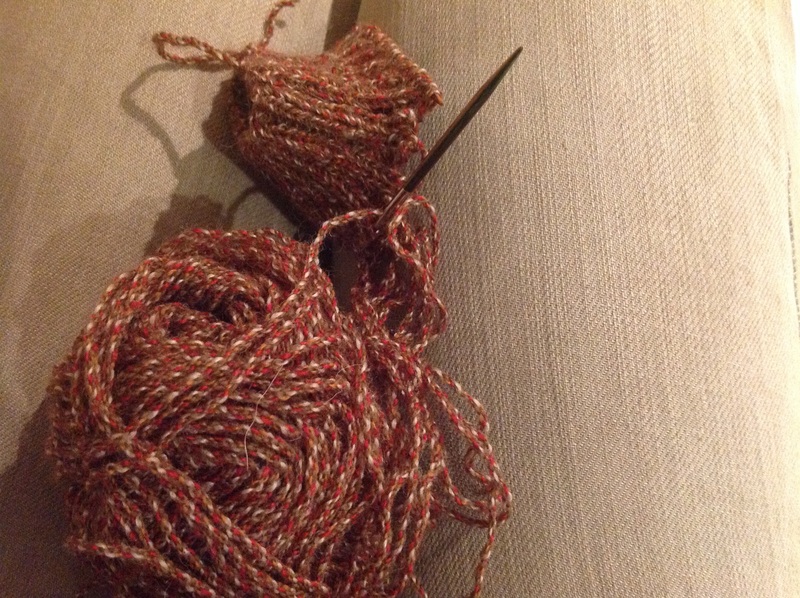 Oh dear, oh dear, oh dear… Perhaps I should call this post : What’s NOT On The Needle Wednesday. As I mentioned it here a few days ago, I finished this sock and all was well with my “Hickory Docks”. Drum Rolls! In my new Hickory Docks! I tried casting on a beany for Thom but Nettle, our youngest dog found it funny to play with the whole thing and got the yarn tangled beyond detangling.